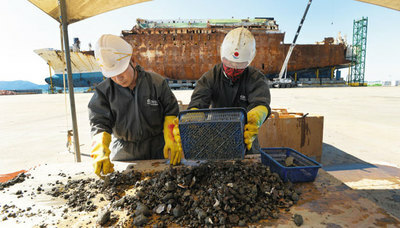 A memorial ceremony marking the fifth anniversary of the 2014 ferry disaster was held in Ansan, Gyeonggi Province on Tuesday. 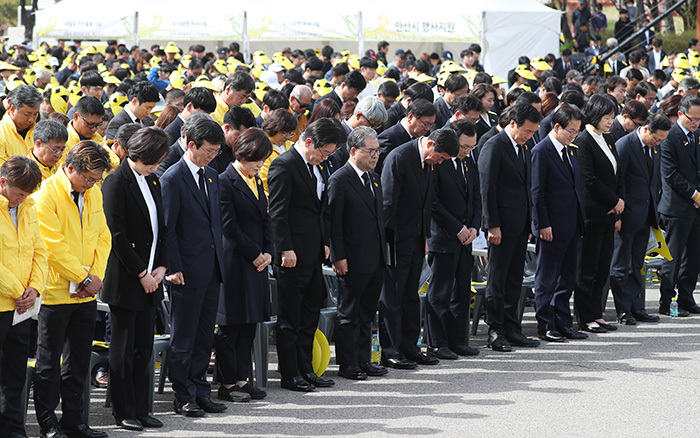 About 5,000 people, including the bereaved families and government officials, gathered at a garden near Danwon High School, where 261 of 304 victims were students. Some mourners burst into tears when one student survivor recited her letter to the victims. One representative of the victims' families said they are still traumatized by memories of the tragedy and demanded that those responsible be severely punished.